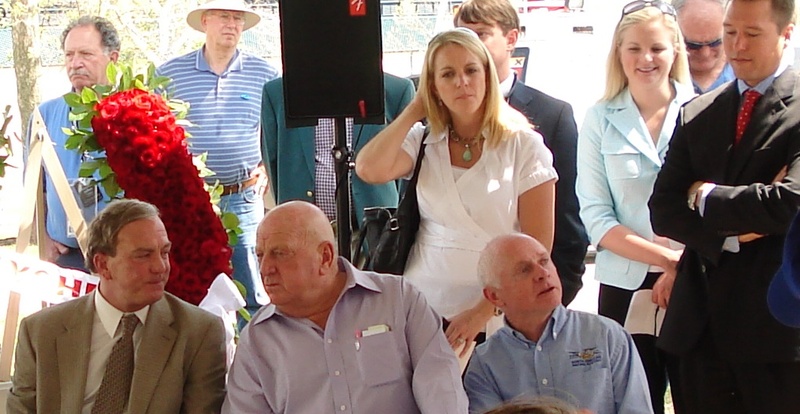 A legendary figure in the annals of American racing, Hall of Fame trainer Jack Van Berg passed away early this morning at age 81 in Hot Springs, Arkansas following a lengthy battle with cancer. A mentor to numerous trainers such as Bill Mott, Frankie Brothers, Loren Rettele and many others, Van Berg had a heart of gold and gave literally hundreds of young people “a leg-up” in the horse racing industry and also helped to raise hundreds of thousands of dollars for charitable causes via his considerable talent as an auctioneer. A resident for many years of the Airport Park View Hotel, which sat on the same property as Hollywood Park and was across the street from The Forum in Inglewood, Calif., Van Berg was racing primarily in Southern California by the mid-1980s and early 90s and his stable was headquartered just a quarter of a mile away at Hollywood Park. Although his equine fortunes had dwindled in Southern California, a switch to Oaklawn Park in 2014 proved to be an elixir as Van Berg proved yet again that he could compete and win on one of the nation’s toughest racing circuits. And, to what did he ascribe his newly re-found success? A winner of a staggering 6,457 races, he was equally at home in the company of racing royalty or rail birds at county fairs from Grand Island, Nebraska to Pomona, California. Van Berg, in his prime, was regarded as a trainer who improved any kind of horse, from bottom claimer to graded stakes winner. Currently ranked Santa Anita’s 22nd all-time stakes winning trainer with 31 added money triumphs, he defeated his good friend and fellow Hall of Famer Charlie Whittingham in what was a battle of Derby winners in 1988, as Alysheba avenged a loss in the Breeders’ Cup Classic five months earlier by defeating Ferdinand by a half length in the $1 million Santa Anita Handicap. Van Berg is survived by a son, trainer, Tom Van Berg, and three daughters, Tori, Tammy and Traci. He was predeceased earlier this year by another son, trainer Tim Van Berg. Funeral services for Jack Van Berg are pending.